Build Europe is the umbrella organisation for national federations of developers and house builders. Build Europe is a European association representing more than 30,000 developers and house builders affiliated to the federations of 10 states. 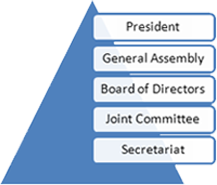 Build Europe is composed of different bodies, namely the Presidency, the General Assembly and the Board of Directors. These three bodies are assisted in their activities by the Joint Committee. 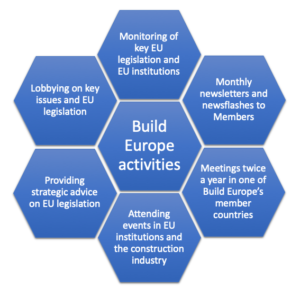 The Build Europe Secretariat permanently supports the organisation in a wide range of activities. Build Europe has a long history dating back to 1958 when it was founded as an international association for scientific purposes. Since the beginning, Build Europe has been supporting and defending the interests of developers and house builders in Europe. Build Europe has been positioning itself as the representative of developers and house builders’ interests with the European institutions as well as with stakeholders.